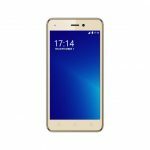 Symphony V48 Price in Bangladesh & Full Specification. Welcome to this topic which is about on a new smartphone which comes with a good configuration with the lowest cost. 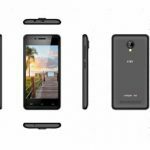 Recently, the Symphony brand released their new smartphone with the lowest cost. And those smartphone comes with the new colors and the new design. This new smartphone comes with the 4.5″ inches TN with IPS Film Display which colors is 16.7M. Display Type is FWVGA and the resolution is 854 X 480. This smartphone has also many features which are good for the user as a price of this smartphone. This new smartphone comes with the four new colors which are Black, Black+Blue, Black+Gold, Red+black. 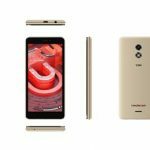 If you have any plan to purchase a new smartphone with a low price, you can see this new smartphone of Symphony brand. 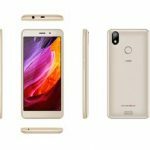 This smartphone runs on the Android Go 8.1.0 Oreo (Go Edition) Operating System. The Storage of this smartphone, the RAM is 512GB & 8GB ROM. On the other hand, this smartphone is able to extend the storage via microSD card max to 64GB. The battery performance is 1800 mAh Removable Li-ion Battery. And the Camera performance is 5MP Rear and 2MP for the selfie. This smartphone also has Audio Recording, Video Recording, Wireless FM Radio etc features for the multimedia. For the connectivity, this smartphone has Wi-Fi, Data Service (2G & 3G), Bluetooth, USB Modem, OTG etc. 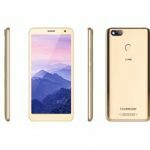 The Symphony brand brings their new smartphone with the good features as the price of this new smartphone. 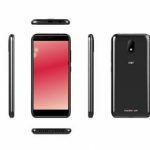 This smartphone brand released their new smartphone with the lowest cost for their customers. So that the customers can purchase a new smartphone with the lowest cost. Symphony V48 Price in Bangladesh 3,790 BDT.